Welcome to another month, loyal readers. Here are the headlines you ordered. Nearly 600 young professionals are expected to be in Sacramento today for the Emerge Summit, which is now in its fifth year. The daylong event at Memorial Auditorium focuses on personal and career development. It’s spearheaded by Metro EDGE, a program of the Sacramento Metro Chamber Foundation. Given all the “Lady Bird” excitement, let’s take a moment to revisit the 2016 Emerge Summit, which included an appearance by Greta Gerwig. 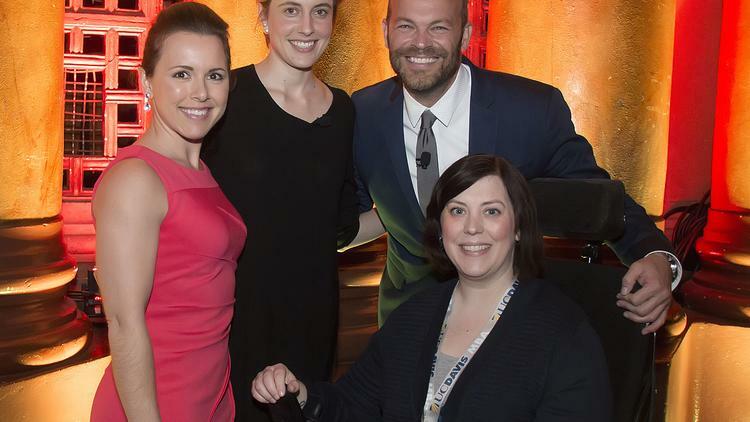 Metro Edge chairwoman Christine Calvin of the Crocker Art Museum; actress and featured speaker Greta Gerwig; Rob Stewart, host of KVIE’s “Rob on the Road;” and Emily Dutch of Drexel University, who also was chairwoman of the Emerge Summit.